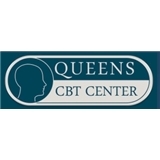 Benjamin Grysman, PhD - Queens CBT Center (Fresh Meadows) - Book Appointment Online! At Queens Cognitive-Behavioral Therapy Psychology, PLLC we provide psychological services for individuals affected by depression, anxiety, and other conditions. With offices located in the heart of Queens, we are accessible by a variety of mass transportation options and by car. Owner and Director Dr. Benjamin Grysman and his providers will focus on ways in which your thoughts and actions can contribute to problems – and on how you can address these problems by thinking or acting a little differently. Cognitive Behavioral Therapy has a proven track record of success treating problems such as depression, social anxiety, phobia(s), OCD, eating disorders, and panic attacks and the skills you gain through CBT are long lasting and life changing. I am a new patient. Considering the situations I'm going through Dr.Grysman made me feel comfortable to talk to him about them. He's willing to help me. I feel like he's going to hold me accountable and I'm looking forward to that for the first time in a while.